Materials: papier-mâché, foam plastic, foam rubber, wood, metal wire, fabric, glass furniture, down. 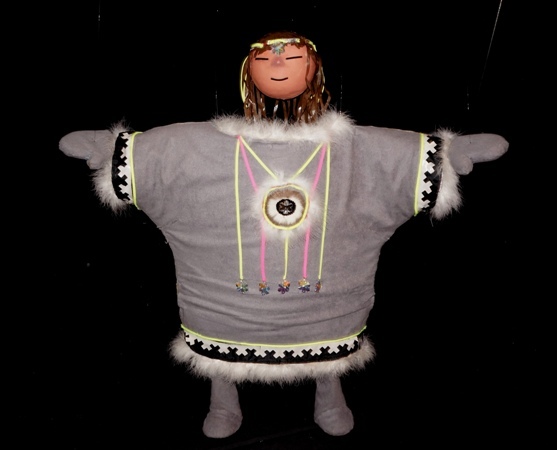 NORTHERN GIRL - strings marionette with original construction of the body and the head. This Girl likes to dance till losing her head. Northern girl in TV show, Moscow, Russia, 1995.